Contest #freeTESOL: Win a 100-hour TESOL Course! First prize: Win one of three 100-hour TESOL Certificate courses. Second prize: All participants win a $100 discount on any of our internationally recognized TESOL certification courses. https://how-to-teach-english.ontesol.com/wp-content/uploads/2015/03/ontesol-logo1-300x137.jpg 0 0 admin https://how-to-teach-english.ontesol.com/wp-content/uploads/2015/03/ontesol-logo1-300x137.jpg admin2013-11-19 16:55:532014-07-29 17:44:16Contest #freeTESOL: Win a 100-hour TESOL Course! To celebrate OnTESOL’s 10th anniversary, we are giving away a free specialist course with the 250-hour TESOL Diploma! 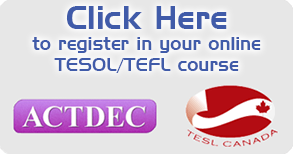 Register now and choose your free TEYL or TBEC course after you complete the TESOL Diploma. Trainees have 8 months to complete the 250-hour course and the 20-hour specialist module of their choice. Fully online! 270 hours of professional teacher training for only $975! Course material and tutor support are included. FAQ: What does a specialist course add to my TESOL career? 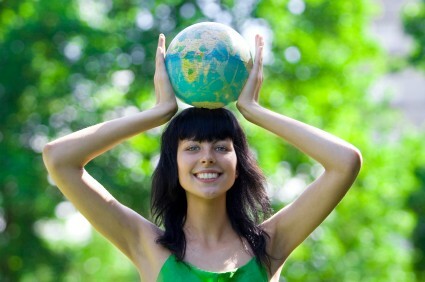 In many parts of the world, TEYL and Business English courses are large market segments. Our specialist courses provide a comprehensive guide to the Theory and Methodology of teaching TEYL and Business English, and include practical assignments accompanied by professional tutor support. A specialist course is a great add on that teaches you how to apply the lesson planning skills acquired in the TESOL Diploma when teaching English in specific classroom situations. Register now and save $159 on your specialist course! https://how-to-teach-english.ontesol.com/wp-content/uploads/2015/03/ontesol-logo1-300x137.jpg 0 0 admin https://how-to-teach-english.ontesol.com/wp-content/uploads/2015/03/ontesol-logo1-300x137.jpg admin2013-06-25 17:05:412014-04-28 10:18:16Free TESOL Specialist Course! TESL Canada sets the standards for professional teacher training in Canada and recognizes programs delivered by private TESOL institutes, colleges, and universities. TESL Canada accreditation is required to teach English at language schools in Canada. 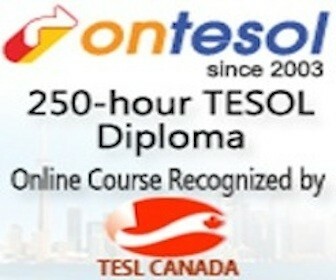 Few ESL schools hire teachers who are not TESL Canada certified for a full-time position. Aston Educational Group operates over 100 language schools in more than 60 cities across China and they are looking for TESOL certified teachers to start in September of this year. 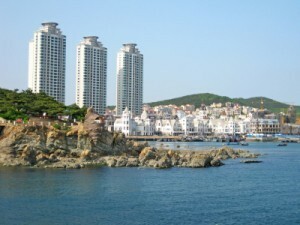 Aston opened the first school in the beautiful city of Dalian back in 1996. They have hired over 1600 TESOL certified teachers to experience life in China. Teach 15-25 hour per week at one of the largest schools in China. Aston offers a competitive package that includes a starting salary of 7,000 RMB per month plus flight allowance, accommodation, work visa, complete support upon arrival. Ontesol offers free placement assistance to all TESOL trainees and graduates who are native-speakers and have completed a university degree. For direct placement assistance and more information about teaching English at Aston, access the job board from your OnTESOL student account. Teachers who hold TESL Canada and ACTDEC UK accreditation may also apply through us. Contact us via the inquiry form for more information. EPIK now gives preference to applicants who complete a 20-hour Practicum on top of their TESOL online certification. OnTESOL is one of the few online TESOL institutes that provides professional teacher training in an online format and allows graduates to complete a 20-hour Practicum anywhere in the world. Earn Higher Credentials and Save $1000! How do you get more training for less? Ontesol’s 250-hour TESOL Diploma is an extended version of the 5-week Trinity CertTESOL and TESL Canada Standard 1 program that Coventry offers in Toronto. The tuition fee is only $975 because online education provides many savings that Ontesol transfers directly to you. Trainees learn the Theory and Methodology of TESOL and acquire lesson planning skills by submitting their assignments online. A professional teacher trainer is assigned to provide feedback and elicit questions that engage the trainee in an academic discussion. Those who are interested in completing a 20-hour Practicum module to gain supervised teaching experience and become eligible for TESL Canada Professional Standard 2 certification can take this module anywhere in the world. Most graduates take the Practicum free of charge at the school they work, so the total tuition for their TESOL Diploma with Practicum comes to only $975. That is $1000 in savings when you compare our program with standard TESOL courses such as TESL Canada Standard 1, Trinity CertTESOL, CELTA, or SIT TESOL and similar 250-hour courses run by Canadian universities. https://how-to-teach-english.ontesol.com/wp-content/uploads/2015/03/ontesol-logo1-300x137.jpg 0 0 admin https://how-to-teach-english.ontesol.com/wp-content/uploads/2015/03/ontesol-logo1-300x137.jpg admin2012-12-01 20:13:292014-04-28 10:18:26Earn Higher Credentials and Save $1000! Get certified to teach English at top language schools, reach the position of Director of Studies, and/or qualify for admission to a master’s degree program. OnTESOL’s 250-hour TESOL Diploma is the most comprehensive teacher training program before DELTA, Trinity DipTESOL or a MA degree in TESOL. Study online and pursue accreditation with TESL Canada, which is the leading TESL organization in Canada and the world. There are many reasons for taking an accredited TESOL course! Course Material: Our accrediting organizations scrutinize the course material and suggest improvements during the accreditation stages. Tutors: Teacher trainers must be approved. If the TESOL institute tells you that your tutor holds a MA degree in Education, TESOL, or related field, and has many years of experience as a teacher trainer and language instructor, then it is true. Honesty: Accredited TESOL institutes are forbidden from posting misleading advertisements such as “Guaranteed jobs”. Audit: TESOL institutes are audited every few years. Jobs: Accrediting organizations such as TESL Canada, Trinity CertTESOL, CELTA, or ACTDEC UK are well recognized worldwide because of their commitment to quality control. An accredited TESOL certificate leads to better jobs. Peace of Mind: You can choose your course provider among well-known TESOL institutes, colleges, and universities. Avoid Fly-by-Night TESOL Certification: If the TESOL institute goes under, you hold an accredited TESOL certificate. Take an accredited TESOL course with OnTESOL! Teachers who go to the United Arab Emirates are highly qualified and have two or more years of teaching experience, but most of them lack experience and training in the ESL field. A professional TESOL certification that offers comprehensive training in grammar, phonology, and methodology is highly recommended.